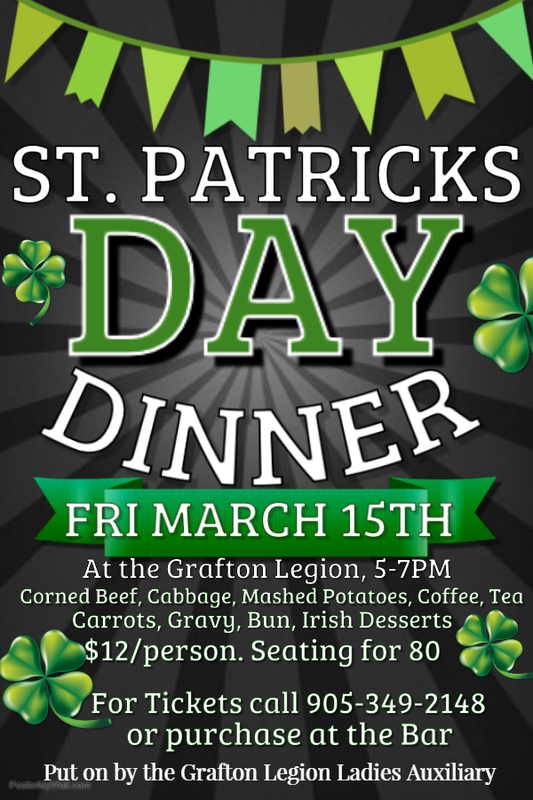 The Ladies Auxiliary present our St. Patrick’s Day Dinner at the Grafton Legion on Friday March 15, 2019 at 5pm. Enjoy corned beef, cabbage, mashed potatoes, carrots, gravy, a bun, Irish Desserts, coffee and tea – all for just $12/person! Seating for 80. Tickets will be available at the Grafton Legion Bar.